The green fringe of Portland harbour is still intact. Castle Cove is in the centre of this picture. The developer would change the green fringe to concrete and glass. 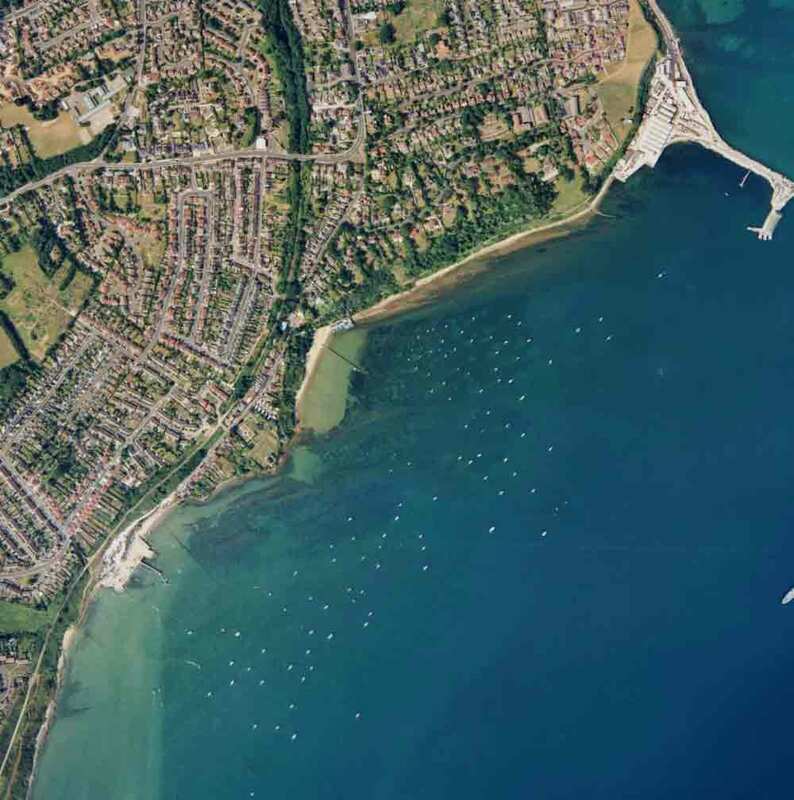 This plan is the latest in a series of proposals to build along the shore of Portland Harbour. Like all previous proposals it was refused unanimously by Councillors on 21st January 2004. The applicant has appealed against this refusal and an informal public hearing to consider this took place on 8th March 2005. There is a huge amount of public feeling against this development, 67 letters of objection were received by the Council from both locals and visitors. The green backdrop to Castle Cove is unique to Weymouth. Once lost to housing it is irreplaceable. Generations have played on this beach as children and gone on to bring their children and grandchildren here, just as we have. In winter this area is a beautifully isolated wild foreshore. We should not risk losing this for the sake of housing. Concrete steel and glass is out of place in Old Castle Road. This picture was prepared by the developer to promote the development. It has reduced the size of the properties and shows trees which will not exist. The trees will have to be felled to make room for the houses and site stabilisation. What will be left will be a stark street and beach scene. During recent years the Council has, quite rightly, strengthened its policy to prevent this type of development. The Local Plan specifically excludes the Portland Harbour Shore from the Development Boundary. This development ignores not only this policy but several others. 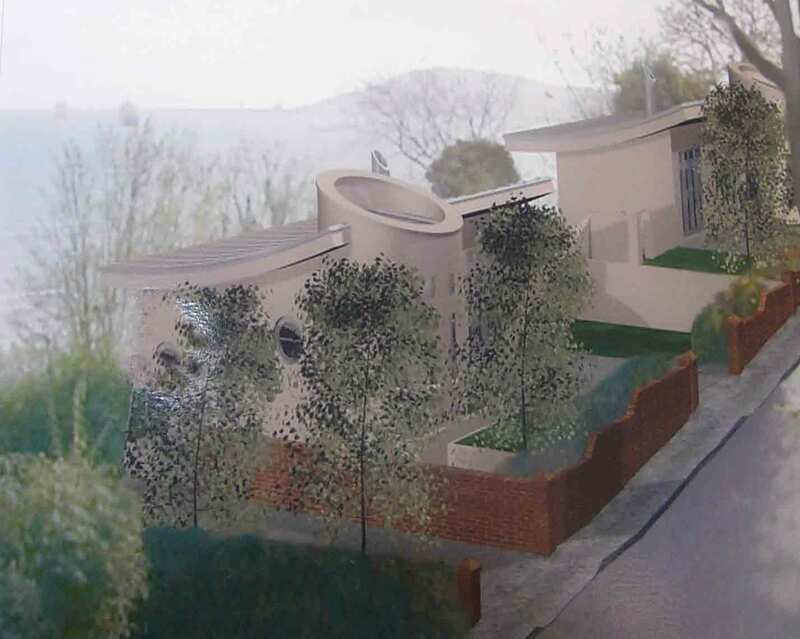 We aim in this web site to give more details of why this development should be rejected on appeal. It is important that the Planning Inspector is aware of the continuing level of public feeling against this proposal.